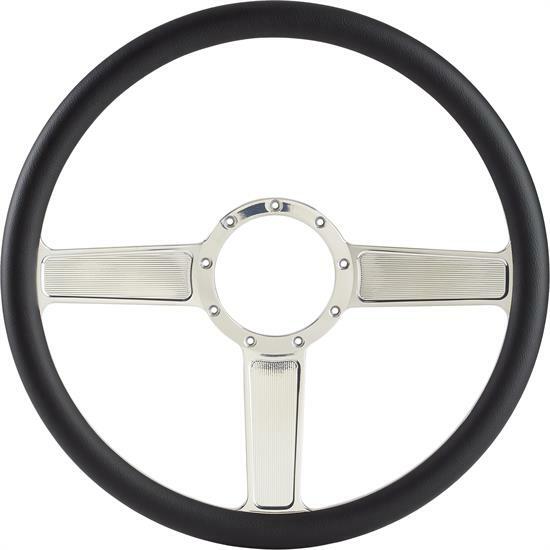 Eddie Motorsport's Linear model steering wheel has gloss black anodize spokes with a black grip. These wheels are precision CNC-machined in the USA from high quality 6061-T6 billet aluminum. The wheels are 15 in. diameter and include a synthetic leather half wrap grip. You can also wrap the wheel with your interior's matching leather or vinyl. GM adapters and horn buttons are available and sold separately.